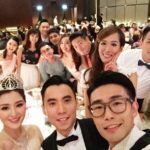 Miss Hong Kong 2012 winner Carat Cheung (張名雅) announced her engagement to her lawyer boyfriend, Joe Choy (蔡錦豪), in early August this year. 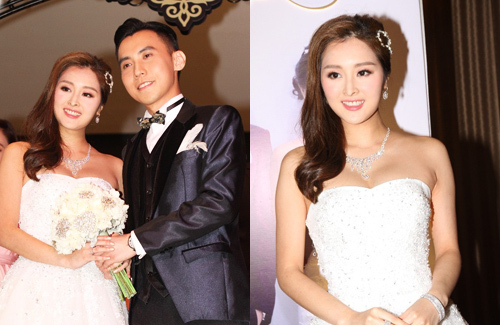 Just as quickly as they shared their engagement, the couple held their wedding banquet last week. 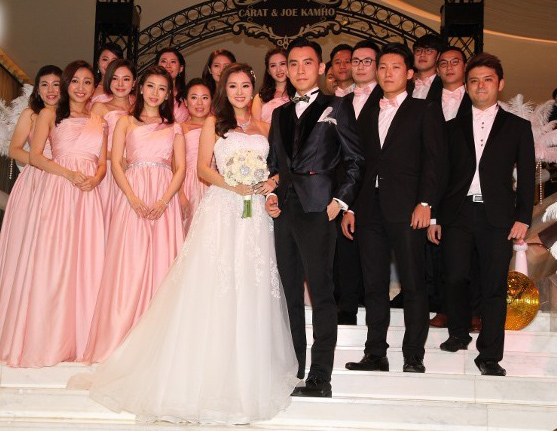 Carat then shared that after the wedding, the couple will return to Vancouver to celebrate the occasion with her father’s relatives. However, the couple has not decided on a honeymoon location yet. She looks good. Congratulation to the couple. @went i remember her as she won over Tracy during Miss HK. It was during the first time when they had people voting for the winner but the server crashed and the judge end up deciding the winner. So neitzen felt it was unfair that she won over Tracy. @went same here…looks like her acting days are over now that she is pregnant. If she’s indeed preggers it makes me wonder why there are so many shotgun marriages among showbiz people. Dont they practise birth control or are they ignorant about the birds and bees?